If you're experiencing issues with your boiler or perhaps it has stopped working completely, then, Eco Efficient can help. With our brilliant boiler repair service in Blackpool and the nearby areas, our engineers can spot the issue with your boiler and fix it immediately. Thus, you won't lack hot water or stay in a cold home. 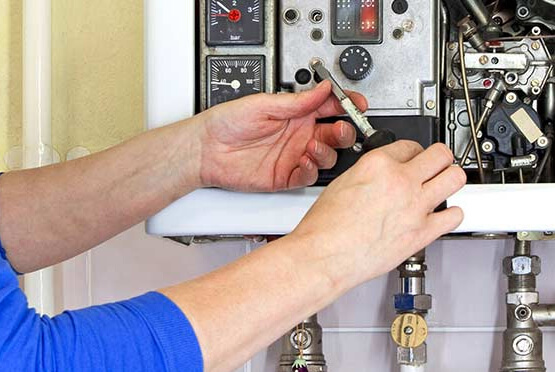 Eco Efficient has many decades of experience in the provision of boiler repair services. Over time, we have learnt what exactly homeowners need when it comes to boiler repair, installation, and servicing. We take the boiler repair requirements for each of our clients seriously. Thus, everyone who approaches us to get their boilers repaired can be assured of top quality services at an affordable cost. By having your boiler repaired in time and serviced regularly, you're enhancing your family's comfort. Note that a boiler provides hot water and helps in keeping your home warm. Making sure that your boiler is running efficiently ensures that you will never lack hot water or stay in a cold home. Besides, regular boiler servicing and timely repairs reduces the possibility of replacing the boiler in any near future. One thing that most homeowners ignore is that poor boiler maintenance is the major cause of the endless heating issues in their homes. Keep in mind that once a specific boiler component stops working, it exerts strain on the other boiler components. That increases the possibility of other boiler components failing. Furthermore, a faulty boiler is likely to emit carbon monoxide gas. This is a highly poisonous gas also known as silent killer. Keep in mind that carbon monoxide is tasteless and has no smell. Unless you have carbon monoxide detector installed in your home, it will be difficult to detect the gas. However, if you're feeling dizzy and after getting out of the house you start feeling better, then, the chances are that there is carbon monoxide in your home. Besides, carbon monoxide is associated with slight headache and nausea. As soon as you suspect that there is carbon monoxide in your home, contact Eco Efficient immediately and stay outside the house. One of the major benefits of working with Eco Efficient when it comes to boiler repairs is that your boiler will be repaired by Gas Safe registered engineers. These engineers and the entire staff serving at Eco Efficient are highly trained to make sure that they deliver top quality services to our clients in Blackpool and the neighbouring areas. Note that all our engineers are certified by the relevant authorities and thus, you can be assured that you will be dealing with experts. Our primary goal is to help homeowners in the entire United Kingdom to improve their boilers and central heating systems to achieve the highest possible level of operational efficiency.